Rather than do a hodge-podge of posts about quests here and there, I thought I’d try and put together a bit of an index to the quests as a whole; this should be largely complete now. Basically, the world event in 2.4 involves the Shattered Sun Offensive – a new faction – working to reclaim the Isle of Quel’Danas, one chunk at a time. Each phase has a goal (or several goals) and the new dailies for that phase work towards those goals; the goals are achieved when the dailies have been done often enough server-wide. Note: Once a goal has been achieved, the dailies are still accessible with new names, and (if it was a major goal) a new phase opens up. The new versions of the old dailies are listed under “Replaced by”, below. To begin with, you start at Neutral with the Shattered Sun Offensive. There are six or seven daily quests open to you. To kick it all off, though, you’ll want to get the starter quest (“Enter, the Deceiver…”) from the questgiver near A’dal in Shattrath, and head to the Isle of Quel’Danas. 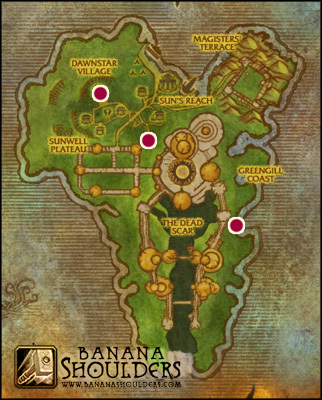 You’ll automatically know the flightpath once you hit a flight master in the Eastern Kingdoms; Quel’Danas is connected by flightpath to Zul’Aman (and apparently also to Silvermoon, for the Horde). The following are the SSO dailies. Note that unlike other sets of daily quests, new quests open up depending on how far your server is through the world event, not based on your own personal reputation level. The only quests that are affected by your own rep are: a single quest at each new rep level (which doesn’t actually require you to do anything, other than pick up a package of freebie rewards), and a single quest at Exalted which is the avenue to getting the new title. Everything else is available at Neutral rep, if your server has unlocked the phases. This means that people coming late to the party will be able to rep up very fast indeed; once phase 4 is completed there are 18 dailies available for Shattered Sun rep (plus an extra 1 if you’re a miner, herbalist or skinner). Phase 1 starts in a small camp near the landing on Isle of Quel’Danas; there are two dailies here, working on reclaiming the Sun’s Reach Sanctum. These two quests are “The Sanctum Wards” and “Erratic Behavior” are described below. When these two quests reach their goal, the Sanctum is reclaimed. In addition, phase 1 offers five more daily quests with no specific goal, three of which start in Shattrath: “Sunfury Attack Plans”, “The Multiphase Survey” and “Gaining the Advantage”; and two at the Throne of Kil’Jaeden: “Blood for Blood” and “Blast the Gateway”. This quest is given by Theris Dawnhearth at the staging area on Quel’Danas. To complete it, kill Wretched Fiends and Wretched Devourers and gather 4 Mana Remnants from their corpses, then use (right-click) the Mana Remnants on a sanctum ward (the big red floating crystals with Wretched mobs around them). The mobs can be found all around the starting area on the island; don’t go down into Dawnstar Village, as it’s a different kind of enemy down there. Reward: 9.1g and 150 SSO rep. Replaced by: Arm the Wards! This quest is given by Vindicator Xayann at the staging area on Quel’Danas. She gives you a stack of modified golem control cores. Find and kill 5 Erratic Sentries; use the modified cores on each sentry’s corpse to reanimate it as a Converted Sentry. It’ll accept its new orders and run around happily. Two things to note: first, loot the sentries before you convert them, else you loseWeight Exercise the loot; second, it’s worth doing this at the same time as the Sanctum Wards as the mobs are in the same area, and these mobs are non-agro so once you’re done with the quest you can ignore them. This quest is given by Lord Torvos in Shattrath in the NE quadrant of the inner ring, nearish the flight point. The quest asks you to go to Netherstorm and get the Sunfury Attack Plans off blood elves there. Any Sunfury blood elf in Netherstorm has a chance to drop these plans; you may as well combine it with killing elves for any Aldor/Scryer quest you have, or farming for drops. Reward: 10.1g, 250 rep, and Shattered Sun Supplies (a package with a random green and sometimes a Badge of Justice). This is a gathering quest that requires you to have herbalism, mining or skinning to even pick up the quest; it’s given by a quest giver next to Lord Torvos (near the Shattrath flight master). 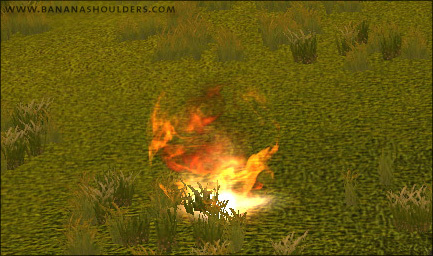 While you have it, mining any ore, gathering any herb, or skinning any skinnable creature in Outland has a chance to drop Nether Residue as well as the usual product. Hand in 8 Nether Residues for the quest reward. I suspect this one’s worth just keeping in your logs, gathering as normal, and handing in every time you get 8 Residues – rather than actively trying to ‘farm’ for the Residues every day. Unless you’re a gatherer extraordinaire, anyway. Reward: 16.39 gold, 250 SSO rep and 1 Major Rejuvenation Potion. First up, you have to complete the Missing Magistrix quest, where you search fruitlessly around Quel’Danas until you finally find the teleporter you need in a hidden corner. (It’s at 48,45.) Use the scroll at the teleporter and you’ll be teleported to the Throne of Kil’Jaeden in Hellfire Peninsula, where you complete Missing Magistrix and she gives you two more dailies to do. 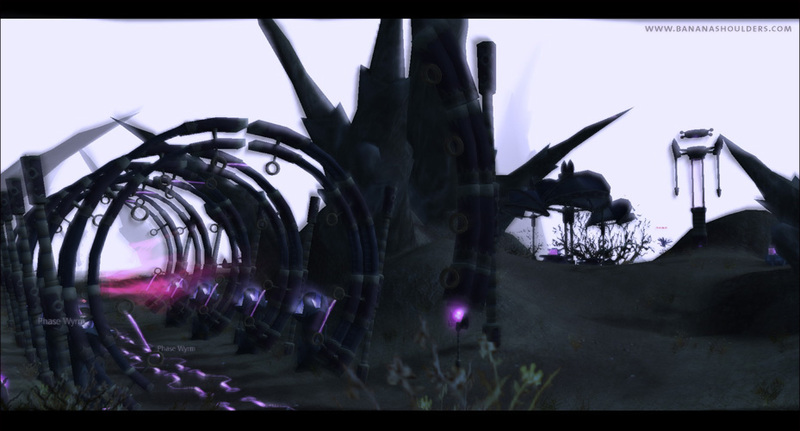 (Oh, and there’s no portal back to Quel’Danas from there, so plan your questing carefully.) Note that this portal-to-the-area only works for your first run through the quests; on future days you’ll have to get there yourself. The two new dailies are both completed at the Throne of Kil’Jaeden; be careful not to agro Kazzak if he’s up. Kill 4 Wrath Heralds for their blood, which isa 100% droprate, and this blood empowers the quest item you were given, the Fel Siphon. You use the Siphon on elite Felblood Initiates to turn them into Emaciated Felbloods, who you then kill. 4 Emaciated Felblood kills, and you’re done. The big problem is that the Felblood Initiates are few and far between so you will be waiting a long time for your four kills unless people on your server are smart about grouping up. Note that on busy servers, while the dailies are popular, respawns aren’t a problem at all. Reward: 11.19g, 250 rep and 5 Marks of Sargeras or 5 Sunfury Signets. You’re given a Sizzling Ember quest item, which you use to summon a Living Flare minion that follows you around. Kill Incandescent Fel Sparks (fel fire elementals, basically) to empower your Living Flare; once your flare becomes an Unstable Living Flare (about 6 Spark kills, i think), run it back to the teleporter to blow it up. The trick to this quest is: your flare can be empowered by being near any Incandescent Fel Spark when it dies, regardless of whether it’s tagged by you or someone else. I suspect that grouping would make this quest trivial; otherwise, try and stay near other people when you’re all killing your own Sparks, even if you’re not grouped, and you’ll still get the shared benefit. Reward: 10.1g, 250 rep, Shattered Sun Supplies. So, once your realm has collectively done enough of the first Quel’Danas dailies to retake the Sun’s Reach Sanctum, it becomes a ‘friendly’ building with SSO NPCs inside, and you can go there to find two new daily quests. These are quests that contribute to opening up the Sun’s Reach Armory. It also opens up a daily quest to activate a portal in Shattrath that goes to Quel’Danas, and once that’s been activated there’s another daily to get a Quel’Danas -> Shattrath port. This quest is called Distraction at the Dead Scar. You speak to Ayren Cloudbreaker (the flightmaster at your original landing-point), and he sends you off on a bombing run – you fly through the village, down the eastern side of the Isle, then you do a couple of circuits of the Dead Scar, then back up the other side to home base again. The part at the Dead Scar is the relevant bit; you’re given Arcane Charges, and you have to use those to kill demons in the Dead Scar: 2 Pit Overlords (big green guys with tails, like Magtheridon), 3 Eredar Sorcerors and 12 Wrath Enforcers. It’s just like the original bombing dailies in Hellfire Peninsula, really; you fly on an auto-controlled dragonhawk rather than your own mount. This quest was originally an absolute pain to do, because quest credit often wasn’t assigned properly, and the tougher mobs took several bombs to kill. It’s now been nerfed: all mobs require a single bomb, except the Overlords which take two. It’s very easy to solo this quest with a single pass now, even if you have competition on the run. Reward: 9.1g and 150 rep. If you’re interested in seeing this bombing run in progress, check out this post with a video. This one’s easy; you kill six demons down in the Dawning Square and plant your banner on the body of the Emissary of Hate. (Note that you can get credit for bannering an Emissary corpse killed by someone else, and he can be bannered by anyone until he despawns.) Respawn times are hellishly fast, so get out of the area as soon as you’ve killed your six. Reward: 10.1g and 250 rep. This quest opens a portal to Quel’Danas from Shattrath. The original quest comes from an NPC in the Sanctum, but the daily questgiver, Exarch Nasuun, is in the Terrace of Light in Shattrath. He asks you to go to Blade’s Edge and gather 10 Smuggled Mana Cells from the ethereals at Bashir’s Landing – but the mana cells are hidden out of phase. To complete this quest, fly up to Bash’ir’s Landing in Blade’s Edge Mountains, and kill the ethereal NPCs there until one of them drops a Bash’ir Phasing Device. You only need one for your entire party; one person uses it and the whole party (and pets) drop ‘out of phase’ as long as you remain in the area. It affects all party members and pets within 100 yards of the person who activated the device; if you get more than 100 yards away, you’ll suddenly drop back into the ‘real world’ (and probably get beaten up by ethereals you couldn’t see until then). Just run back towards the party until you get back in range of the party member, and you’ll drop back out of phase. The ‘out of phase’ state remains until you leave Bash’ir’s Landing. While you’re phased, you’ll be able to see the mana cells that have been hidden until now. Run around, loot them, dodge or kill the phase wyrms (which have very large agro radii, it seems). The mana cells look much like the image on the right. Reward: 10.1g, 250 rep and a Shattered Sun Supplies package. Given by Astromancer Darnarian in the Sun’s Reach Sanctum, this quest opens up once the Shatt->Quel’Danas portal is activated. He sends you to take ley line readings at three points on the island; the reward is a scroll that will teleport you back to Shattrath. Bloodcrystal: top left dot on the map; look for a very large floating red crystal (surrounded by smaller ones). Dawning Square portal: this is the same location as the Emissary of Hate (for the Battle for Sun’s Reach Armory daily quest); look for the large wispy green wall. Naga shrine: head over to the coast and dodge lots of nagas; look for a cupola (like the ones in Zangarmarsh) with an Azsharan statuette in it near the southernmost stretch of the Greengill coast area. It’s fairly easy; you can do it without having to kill a single mob, particularly if your server is crowded or you do it at busy times. Also note that this quest ‘stacks’ nicely with a number of the quests from Phases 2, 3 and 4 (see below) – the Bloodcrystal is surrounded by mobs that will give quest credits for the Taking the Harbor quest, the Dawning Square portal is the same location where you fight mobs for The Battle For Sun’s Reach Armory/The Battle Must Go On, and the Naga shrine is surrounded by mobs for Making Ready/Don’t Stop Now and Disrupt the Greengill Coast/Open For Business. 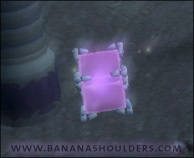 Reward: 11.99g, 250 rep, and Darnarian’s Scroll of Teleportation, a unique single-use scroll that will teleport you from the Isle of Quel’Danas back to Shattrath. Once the Armory is reclaimed, a number of new quests open up on the Isle. This quest, aka Intercept the Reinforcements is the easiest bombing run of the lot. You hop on a dragonhawk (from Ayren Cloudbreaker again) which flies you out into the bay and you â€˜bombâ€™ the sails of the three blood elf ships out there. (Just aim the bomb circle at the sails themselves.) Then the dragonhawk lands, you kill six Dawnblade Reservists, and then you mount back up on the dragonhawk (which kindly stuck around for you) and fly back. The Reservists are easy kills, and drop Sunfury Signets. If you find the main boat is too crowded, you can swim to the left or right boats and kill mobs there instead. A straightforward kill quest; kill 6 Dawnblade Summoners, 6 Dawnblade Blood Knights and 3 Dawnblade Marksmen. The Summoners are warlocks (with an imp pet), the Blood Knights are paladins, and the Marksmen are archers. You can find the mobs all around the harbor building, plus scattered throughout the Dawnstar Village (eg around the Bloodcrystal). This is probably going to be the most popular quest on your server, as it’s given by Smith Hauthaa (at the back of the Armory) and unlocks her as a badge vendor and repairer. She asks you to get three pieces of Darkspine Ore for her. To get this, head out to the Greengill Coast on the eastern side of the Isle, and kill Darkspine Myrmidons for their keys. Note that the Sirens do not carry keys! Use a key on one of the chests lying around on the ground to unlock it and retrieve the ore therein. You can collect all three keys before opening the chests if you want; also, remember they go into your keyring, not your bag. Also note that you can pick up extra keys, but they don’t stick around – you loseWeight Exercise them either when you hand the quest in, or when you log. So don’t bother farming for extras; it’s just wasted effort. This only becomes available once the Anvil has been built via Making Ready. Smith Hauthaa will send you to gather Ata’mal Armaments from orcs in Shadowmoon Valley on the Ata’mal terraces near Black Temple. Get five armaments, come back, and use them on her anvil to create the cleansed items she wants you to hand in. My preferred kill spot is around 70,40. The mobs are pretty easy to kill – there are Chosen, Slayers (which usually come in pairs) and Darkweavers; all can drop Armaments, although I personally have had best luck with the Slayers. Watch out for the patrolling elite Drakonids, though. Reward: 18.28g, 350 rep, and Blessed Weapon Coating or Righteous Weapon Coating. This quest works towards the goal of opening up the Alchemy Lab. Go to Razorthorn Rise – it’s on the border of Terokkar Forest and Hellfire Peninsula, and kill Razorthorn Flayers until you get a gland drop. Use the gland on a Razorthorn Ravager (which you can find in the area covered by a brambly, thorny “roof”) and it becomes your pet – you’ll get a pet bar on your screen, so make sure your UI doesn’t have that disabled if you use custom bar mods. Run around to the dirt mounds and hit the button on your pet bar that triggers your ravager to dig through the mound. The mound will despawn, and a root will appear, lootable by anyone in your party. Get five roots, and go hand them in. Simple! Tips: Make sure you’re not trying to use the gland on one of the bugged ravagers (which stand around evading). The ‘charm’ doesn’t wear off until you leave the area, so you only need one gland; extra glands disappear when you turn in the quest. Reward: 9.1g, 350 rep, Shattered Sun Supplies. Go to the Greengill Coast and kill Darkspine Sirens for Orbs of Murloc Control. Use the Orb to free 10 murloc slaves. (Note: works nicely with Know Your Ley Lines and Don’t Stop Now.) When you use the Orb, try and get as many murloc slaves in the area of effect as possible – you should be able to get 2 minimum, sometimes as many as 4 if you time it right. Note that Orbs will continue dropping on Siren kills until you hand the quest in, even after you’ve freed all ten slaves. Donate 10g to help build a memorial monument. This is the ‘minor’ goal of this phase (comparable to the Portal in phase 2 and the Anvil in phase 3). Note that this goes by really quickly – my server (Proudmoore, the first to complete the monument) was completing 1-2% of the quest per minute. Also, note this quest is not available to people with Exalted reputation. This quest only becomes available when the alchemy lab has been unlocked. Gather 5 Bloodberries from around the Isle (they come off bushes that look like the Mana Berry bushes for the relevant cooking daily) and hand them in to Mar’nah in the Harbor building. When i got there i had to wait ages for the server to give me all the information about who was there! Talk about laggy! There were about 500 people stood around! The place looks cool though! Cant wait to see it without the lag! Makes a lot more sense. Just so you know, I dragged this to my Firefox Bookmarks Toolbar, and I’ll be using it often. I noticed you guys have finished the memorial – could you shed some light on whether the 1000g donation title is available after the memorial is finished? Yes, it does seem to be. Nazaniel, the title is even available before the monument is finished, I know as on my server most people are either exalted or don’t want to pay for rep, yet I can still buy the title at the very top of the harbor inn. How I wish I weren’t a healer… it is so much longer to solo these quests as holy, and none of the DPS classes really need you. Are you a paladin, or a priest? I’m a holy pally (obviously, from ze blog ;)) and I really don’t have any problem with questing speed – then again, I’ve got pretty decent DPS gear. As a holy Pally I have no problems with speed of dailys and damage, I agree with Siha – More +spell damage gear for you. Generally I do all 19 shattered sun dailies in 2-2.5 hours or so.